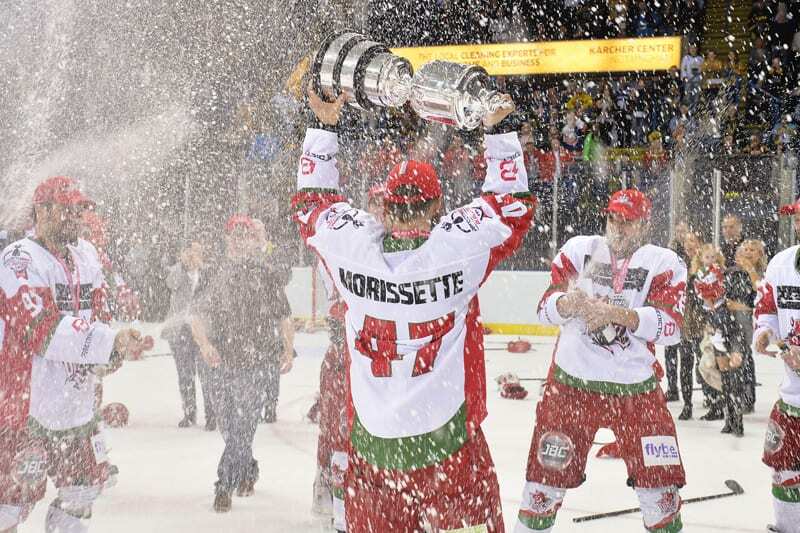 It might only have been two weeks since Cardiff Devils lost their final game and the league title at Coventry Blaze, handing the championship to Belfast Giants. But those two weeks would have been the trigger for Andrew Lord’s men to go out on the ultimate high – and they did it. They needed every player, to a man, to step up and be counted. They needed the big game players to make themselves play a part. My goodness, Cardiff Devils did so with great effort. We’ve seen guys like Joey Martin, Jake Morrissette, Matthew Myers, Mark Richardson, Ben Bowns et al put their bodies through it year after year after year and when Lord needed them, they delivered. Bowns in particular was outstanding. His contribution in keeping the Giants out was every bit as important as the goals they scored and how he made THAT save from Jordan Smotherman, who indeed knows. The footage of the Belfast man shaking his head in disbelief says it all. I saw a tweet from someone who said they had been talking to Cardiff fans who would be quite happy to see the Brit goalie. Are you actually kidding me? If they watch this game again and tell me they still that way, they should go and follow another sport. I can think of at least nine other teams who would take him in a heartbeat and on this form, could play a big part for GB when they head to Slovakia for the World Championships next month. Then there’s the winning goal. Gleason Fournier has had a season to remember and what a way to cap it. A great move through the middle, nudged wide to Matt Pope, who plays it back to him as Tyler Beskorowany looms into the view. A slight drag to the inside and prodded low into the net. 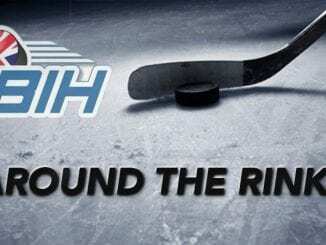 It’s a highlight reel goal for sure and the sort of finish you could watch over and over again. It’s that good and worthy of being the winner of any major final. 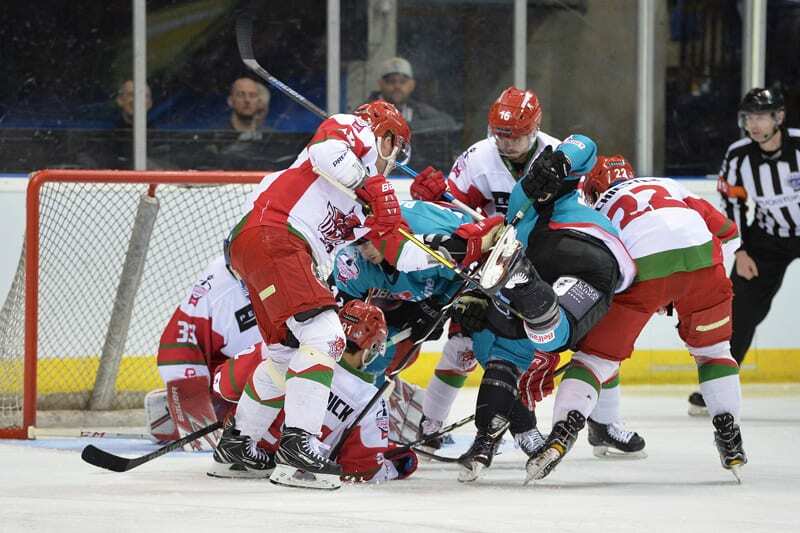 However Belfast Giants end the season with their Grand Slam dream in tatters and, I’ll admit, I had them winning it and getting the job done. The thought of Colin Shields finishing in those circumstances would have been truly incredible, not to mention the achievement in itself. Giants can be proud of their season and for it to go like that may take a bit of time to get over. 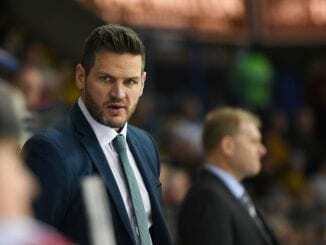 As for the team itself, it’s more than clear that it’s in safe hands under Adam Keefe, in his second year as a coach, let’s not forget. He greatly improved upon the team that won the Challenge Cup last season and the challenge is on to try and retain the title. The pain of this final will serve as a reminder that success can sometimes have its costs. While it didn’t quite live up to the barnstormer of 2017, it was a great watch and Cardiff are rightfully delighted to have some reward for what’s been an otherwise good season.